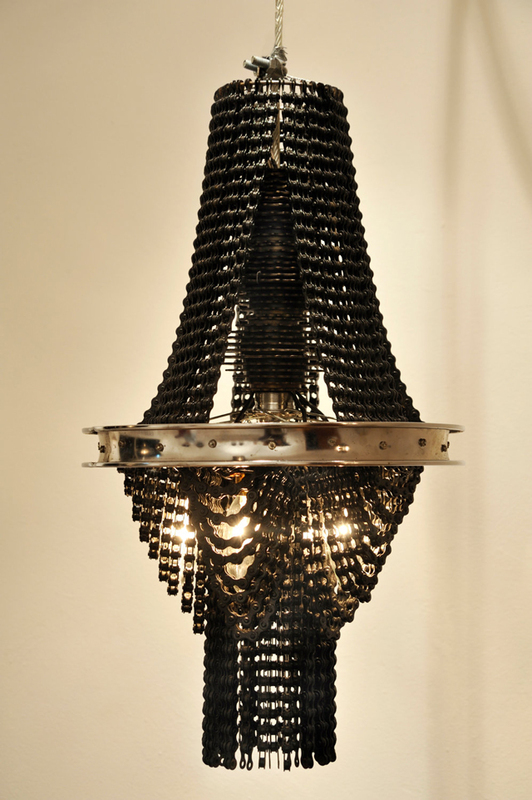 "This developing body of work draws inspiration from the aesthetics of victorian era chandeliers, DIY and Bike Culture, and follows an art tradition of utilizing non artistic materials for sculpture. This series addresses class codes, power dynamics, reclaimed agency, and ecological responsibility. The traditional chandelier is seen as a bourgeois commodity, a cachet of affluence, excess, and as such power. 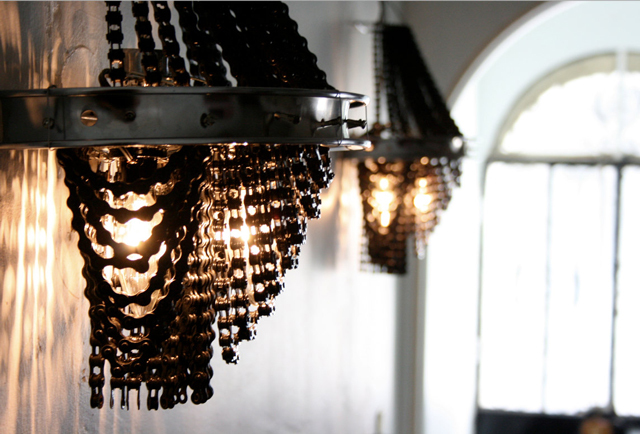 The recycled bicycle parts become a representation of the dismissed, invisible, and powerless, but are also an affirmation of self-propelled movement. 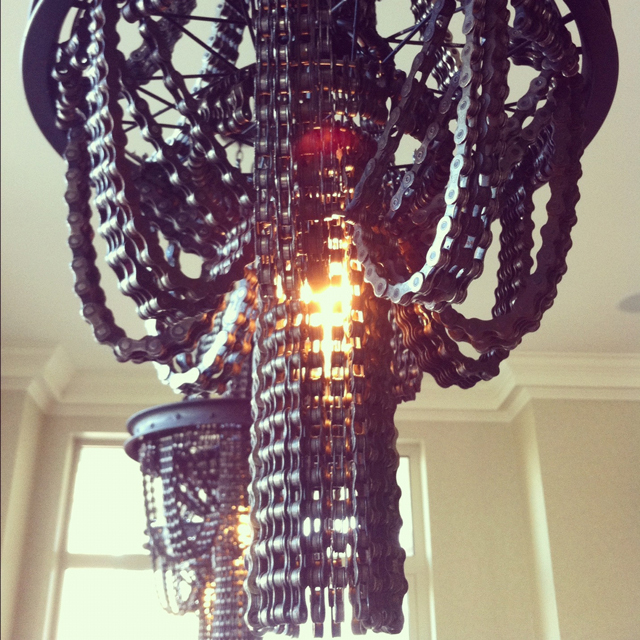 The bicycle chandelier thereby creates a new third meaning of reclaimed agency." 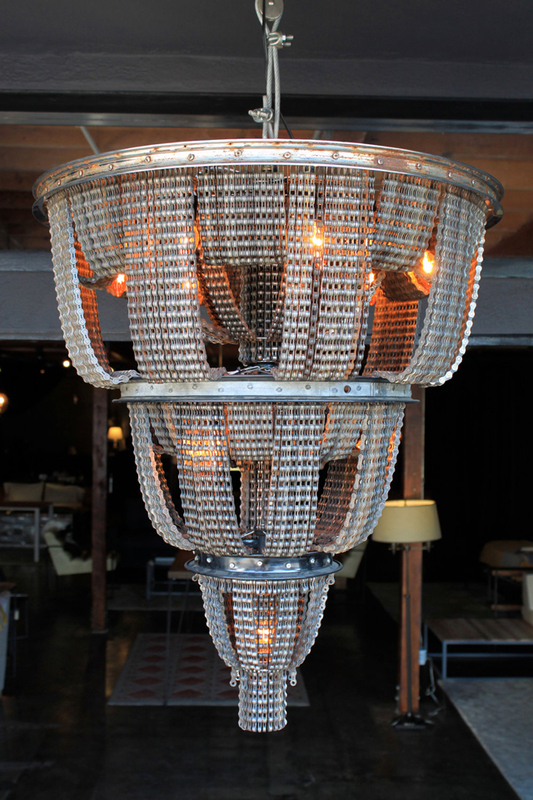 I think if I ever had need for a chandelier it would definitely be one of these. Alzaga has a number of pieces currently available in her shop. Watch the video documentary below as she discusses her inspiring work.